Welcome to Idyllwild, a 13-acre Gentleman's Farm located atop Lookout Mountain. 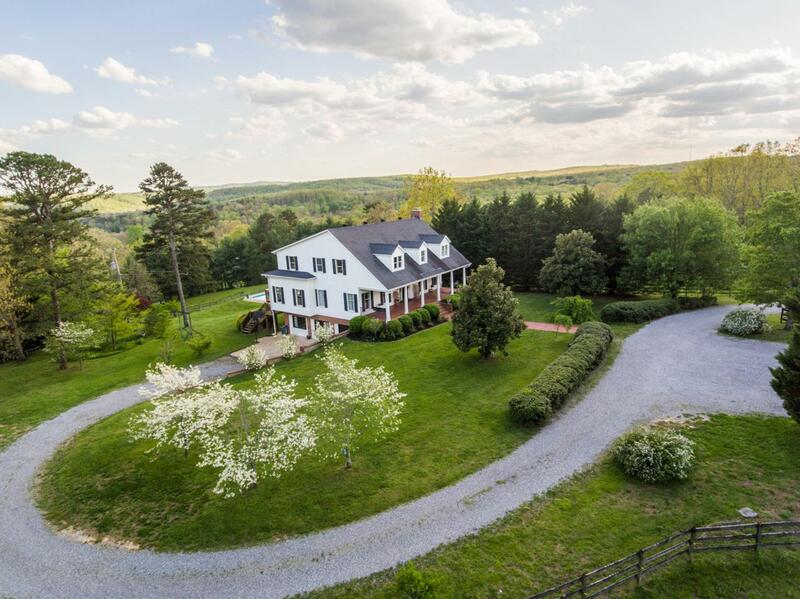 From the tranquil, private setting with breathtaking mountain views to the thriving, booming city of Chattanooga less than 25 minutes away, and less than two hours from Atlanta, Nashville or Birmingham, this one-of-a-kind equestrian property offers the best of both worlds and a true opportunity for a Town & Country lifestyle. This classic southern farmhouse estate has the much-sought charm and feel of an old home, yet was built relatively recently and has been completely renovated, updated and redesigned by the current owner, a nationally-renowned interior designer, and was even featured in major shelter magazines.The open, easy-flowing floor plan on the main floor is an entertainer's dream; a master suite with spa-style bathroom, multiple walk-in closets and three additional bedrooms comprise the upper floor; and a library/media/game room, office/gym, and three-bedroom guest suite that sleeps 14, featuring a built-in bunk room, kitchenette and designer bathroom encompass the lower floor. Ask one of our Agents how the Keller Mortgage Zero Plus Loan can benefit you in the home buying process! Other features of this property are a 2,600sf barn with over a dozen horse stalls, tack room, and large chicken coop for equestrian or farming enthusiasts, a large in-ground, salt-water pool and multiple deck spaces for entertaining and relaxing, and mature all-season landscaping and multiple gardens. Come experience the magic of Idyllwild, it's not to be missed!